A graduation! A twentieth birthday! And first copies of three new books! All within 5 days! It’s no wonder I don’t know where the week went, yet here we are at Friday again! Brief Synopsis: Slipper has always lived happily with Mrs. Fluffy Slippers, but when Mrs. Fluffy Slippers moves, Slipper accidentally gets left behind in the commotion. Slippers searches for a new home, but not just any home will do – it has to be the right one. Will she find a new family she can adopt? Links To Resources: Washington Children’s Choice Award Activities (scroll about 1/2 way down the pdf); Fun Facts About Cats; How To Draw A Cat video; learn to draw a cat step-by-step guide. Would You Read It Wednesday #252 – Princess Ickybelle (PB) PLUS The April Pitch Pick! 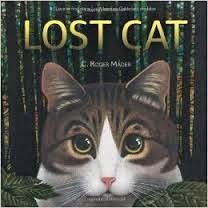 Thank you for finding and featuring LOST CAT. 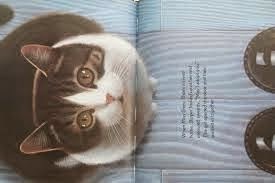 I love cats and books about cats. I can't wait to get a hold of this one. Three BIG events, three NEW books – there’s gotta be a picture book hidden somewhere in here! Congratulations! This is BIG even from a human’s perspective – and I can’t imagine what it looks like from the cat’s eye view. I haven’t seen Lost Cat before, but it looks like a wonderful story about love & loss, and experiencing the world from a little one’s perspective. Happy Mother’s Day (and happy celebrate-the-week’s milestones day)! I love a good lost animal story as long as there’s a happy ending! And the art in LOST CAT looks amazing. Thanks for sharing! Beautiful covers on your THREE NEW BOOKS — wow! As always, thanks so much for this excellent picture book platform…I always look forward to connecting on Friday! And a big Happy Mother’s Day to you! And to all of our other kid lit moms. Congratulations on your Big Three Events, and those three books look awesome. Guess we were in zinc this week as mine is also a pet in cute illustrations. Have a great weekend and “Happy Mother’s Day.” (We celebrate on Sunday down here and are taking Mum out to a local restaurant for lunch). That sounds like a very sweet book. Thanks for sharing.